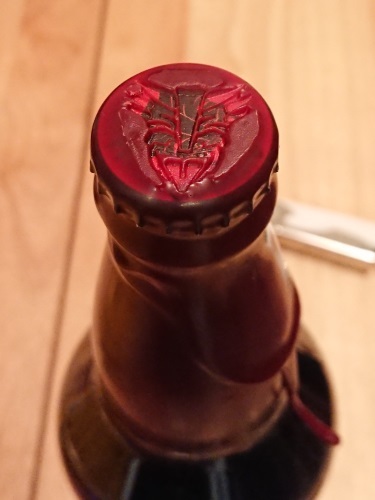 A very sweet wax imprint on the top! Aged in wet bourbon barrels for several months. Buried in this beer are the remains of what started as one of those small batch side projects. Strong notes of bourbon, black licorice, vanilla, toffee, and subtle botes of roasted coffee that collide into limitless realms of intricate flavors.